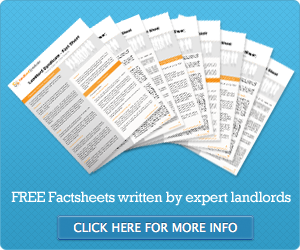 This article was first released on the Total Landlord Insurance website. More buy-to-let property owners could need to seek landlord liability insurance should the government introduce incentives to boost investment in the private rented market. According to the Residential Landlords Association (RLA), the government should make changes to the tax system to encourage more people to invest in buy-to-let properties in order to meet growing demand. The organisation was was responding to new research which shows that a shortage of available private rented property is leading to rents becoming unaffordable for many tenants. The study, from housing charity Shelter, found that average private rents are beyond the means of ‘ordinary’ families in 55 per cent of local authorities. As such, more needs to be done to increase the supply of rental accommodation on the market, said the RLA. It claims that one of the principal reasons there is not a greater level of investment into the sector is that the taxation system fails to recognise becoming a landlord as a business and continues to treat it as a private investment. The organisation is calling on the chancellor George Osborne to announce a package of revenue neutral tax measures as part of his autumn statement to correct this. “With a taxation system that fails to recognise the sector as a business, there is little incentive for existing landlords to invest in new properties or for new landlords to enter the market,” said RLA chairman Alan Ward. Landlords who do decide to expand their portfolios should such changes be introduced will also want to consider taking out household liability insurance for their new properties as having a greater number of tenants could make it more likely an accident will occur which leads to a claim.